Happy New Year! We are currently in a hot real estate market where properties are selling well. Why not take advantage of this market to sell some of your less desirable properties? If you could sell the “dogs of your portfolio” quickly today, why risk waiting until the market turns when they could sit on the market for a long time? And remember that price cuts often come from sitting on the market for a long time. As many of my readers know, I specialize in finding partial-interest properties for investors – many of whom are completing 1031 exchanges. I will often sit down with a potential client who likes what I do, and would like to start by selling one of his properties to exchange into one of mine. “Which property should I sell first?” is his question. To answer this question, I will examine his real estate portfolio and pick out the underperformers. I ran into this problem more during the recession than I do recently. The leverage on a property is important to consider when thinking about a sale. Remember that, for a completely tax-deferred 1031 exchange, you will need to buy a replacement property with at least the amount of equity from your sale and a new loan for at least the payoff amount of your old loan. If you have a property that could sell for $2 million, but has a $1.7 million mortgage on it; this is a high level of debt to replace. (An 85% Loan-to-Value ratio.) With my properties – such high leverage is possible, but your selection will be limited to 1 or 2 deals. 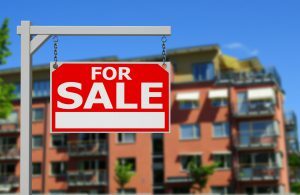 We all buy rental real estate for the cash flow, so it makes sense to sell properties that aren’t doing it well. I recommend calculating your current cash-on-cash return. To do this, make a reasonable estimate of your property’s value, (I could help with an opinion here.) Next, deduct your loan balance from your value estimation to get your current equity. Third, you’ll need to find your Net Income. We’re not concerned with your Gross Income – you are concerned with what you take home. To do this, take your gross rents and subtract all your expenses – including your loan payments. Once you have your net income figure – divide it by your current equity amount. This gives you your current cash-on-cash return. Is it 4%, 3%, even less? You can probably do better by putting that equity into something with a higher return. Does one of your properties take a lot of maintenance time, energy and money? Does one of them need a new roof or re-stuccoing in the next 5 years or so? Does it create headaches from rent control and/or problem tenants? The seller’s market of today could be a great opportunity to trade your “opportunity” to an eager investor. Let him worry about those grey clouds hovering in that building’s future. As traffic has worsened in the Los Angeles area, drives that once took 45 minutes can take closer to two hours – especially during rush hour. In many metropolitan areas, an out-and-back trip that used to take all morning now takes all day. I recently had a few clients, lifelong Los Angeles residents, who retired and moved “away from the crowds” to the Inland Empire. They soon found long-distance property management to be too time-consuming for them. Selling these properties an exchanging into a property that requires less management can gain you more of the most precious of things: your time. Whenever a major event happens, (maybe a tenant in a single-family rental vacates, or we find ourselves in a booming market such as today), I like to perform a quick “should I trade for something else, or should I hold on?” analysis of my personal rental properties. With today’s market delivering a steady supply of potential buyers and attractive sales prices: maybe you should, too. If you have any questions, the toll-free number of my office is (877) 313-1868.